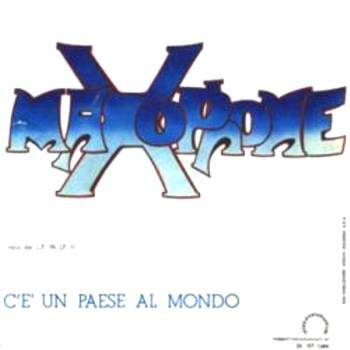 Maxophone, from Milan, formed in 1973 as a six-piece with an unusual assortment of instruments, due to their past experience as music students. A band of great talents and musicianship, their only LP, released in 1975, came too late to compete with the most important Italian bands of the genre and went sadly unnoticed. 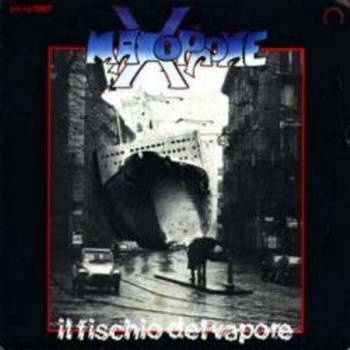 Maxophone, released on the Produttori Associati label (along with Duello Madre one of the few ventures in rock records by this label) is a marvellous album, full of dreamy atmospheres and complex horn arrangements, with good vocal parts in a Genesis style. The opening C'è un paese al mondo was even released as a single at the time, but they didn't reach the success they'd deserve with a better production and a good label promotion. 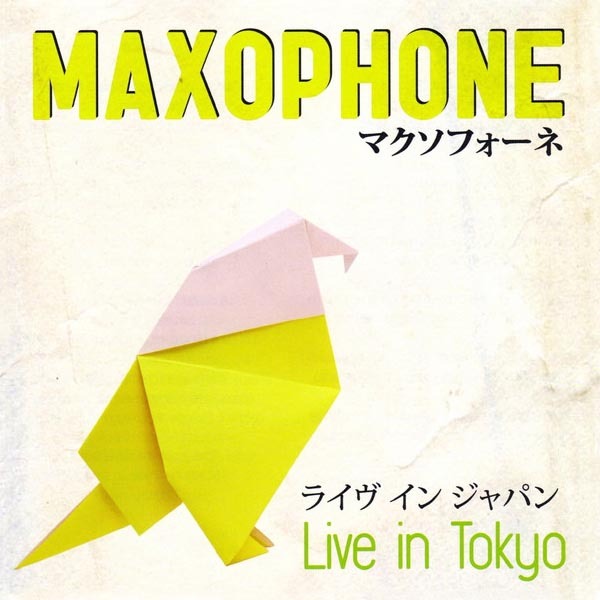 An English-sung version was also released to launch the group abroad, but this was an unsuccessful choice, and the Italian version is usually considered better. The band disbanded after a final single in 1977. Sax and flute player Leonardo Schiavone had a short collaboration with Stormy Six at the end of the 70's. 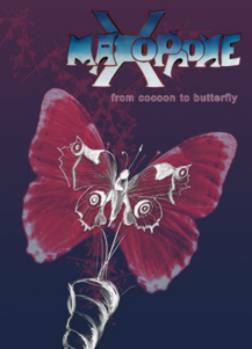 A wonderful release to celebrate the memory of such a band, is the excellent From cocoon to butterfly box set, issued by BTF in 2005 and containing a CD with 10 tracks, demo and alternate versions with many unreleased cuts, and a DVD with 4 TV recordings, a new track recorded in 2005 and interviews with all the band members reunited in this occasion. The group survived through founder members Ravasini and Lattuada, with new members Marco Croci (bass, vocals), Carlo Monti (drums, violin) and Marco Tomasini (guitar, vocals). This line-up, which is together since 2008, played at the popular Club Città in Tokyo in 2013, and the concert appeared on a CD, obviously entitled Live in Tokyo. 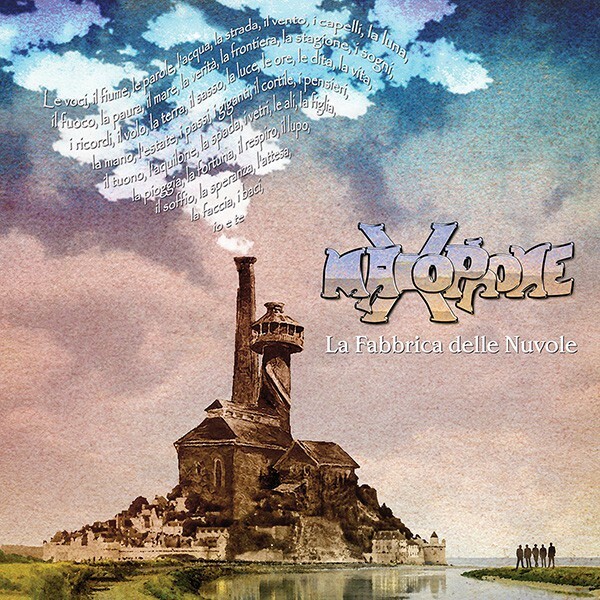 Later, in 2017, the same line-up released the second studio album in the history of Maxophone, La fabbrica delle nuvole, with lyrics especially composed for them by writer Roberto Roversi before his death in 2012. 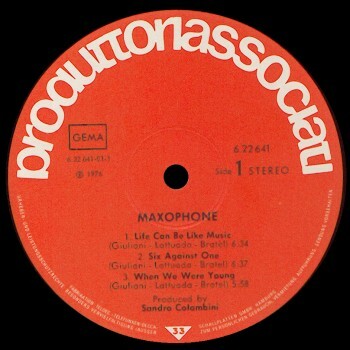 The story of Maxophone came to a definitive end in May 2018 with the demise of Sergio Lattuada, one of the founder member of the group who strongly wanted their recent reunion. The Italian version of this album, with gatefold cover, is rather rare and expensive, the English-sung versions (USA, Canada and Germany) are most common. Both have the same musical background, only the vocal parts differ. English lyrics were written by a J.Bratel and are not a simple translation of the Italian ones, so titles are different like the LP's track order. The Akarma vinyl and CD and Mellow and AMS/BTF CD reissues all include as bonus tracks both sides of the band's last single, Il fischio del vapore. A single cover version was also issued in Italy, with a lyric inner (lyrics were printed in the inner part of the standard gatefold cover). This is much rarer than the gatefold issue, though it was probably a later pressing. 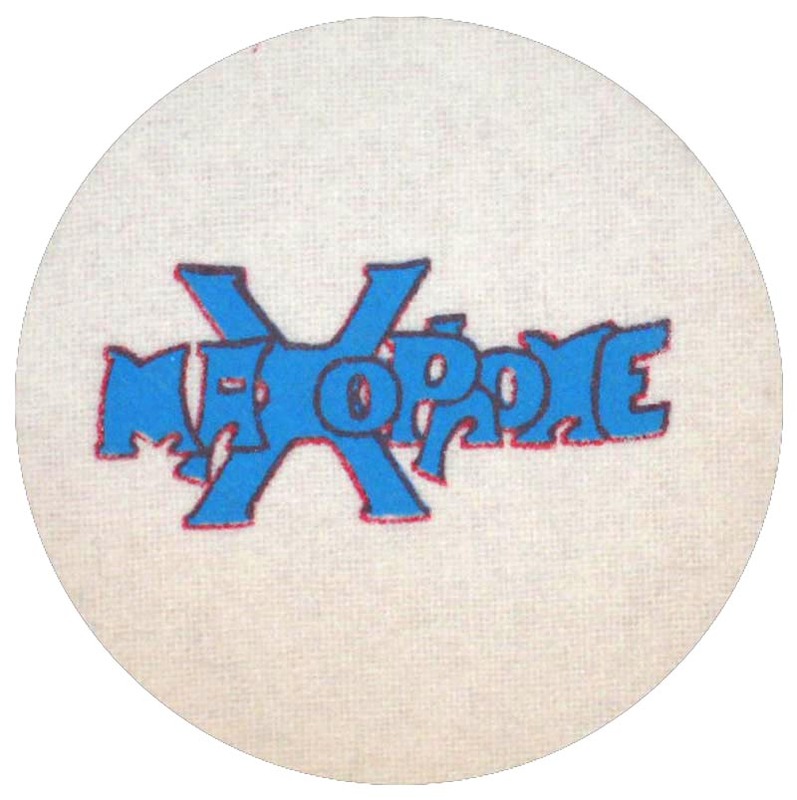 A light fabric round patch (10cm diameter) with the group logo was found inside some original gatefold cover copies, probably a gadget included in the first copies or initially distributed to record stores to promote the LP. It was released on Produttori Associati representative Pa-Usa in USA and Canada (no. PA-7002); early US copies are gatefold, a second issue has a single cover with lyric inner, the Canadian issue had a single cover with insert. The German issue was released with a gatefold glossy cover and orange Produttori Associati label, catalogue number 6.22641 AO. The Italian-sung album has also been issued in Korea on Si-Wan (SRML 2012) and Japan on Crime/King (K28P732). Also from Japan, a one-sided red flexi 7" single with Il fischio del vapore was released by Crime/King (no.SPS10) in 1977; this was a promo-only single, probably included in the early Japanese LP copies. 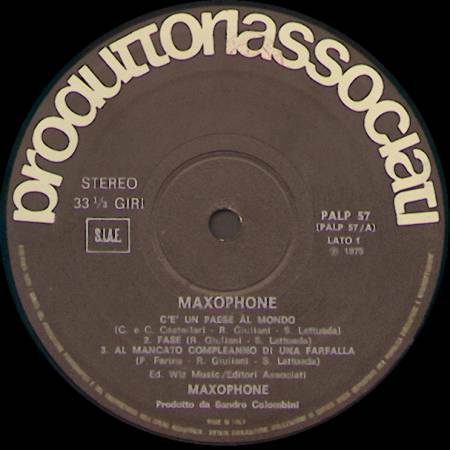 All the six members of Maxophone also appear on a 1975 LP by singer-songwriter Corrado Castellari, Gente così (Ricordi SMRL 6181). The 2005 box set From cocoon to butterfly has a 4-fold cover and contains a CD with 10 unreleased audio recordings of tracks from the first album and some tracks never heard before, along with a DVD with interviews, video recordings from the Italian RAI TV, and a new video track especially recorded for this event by the reformed group. 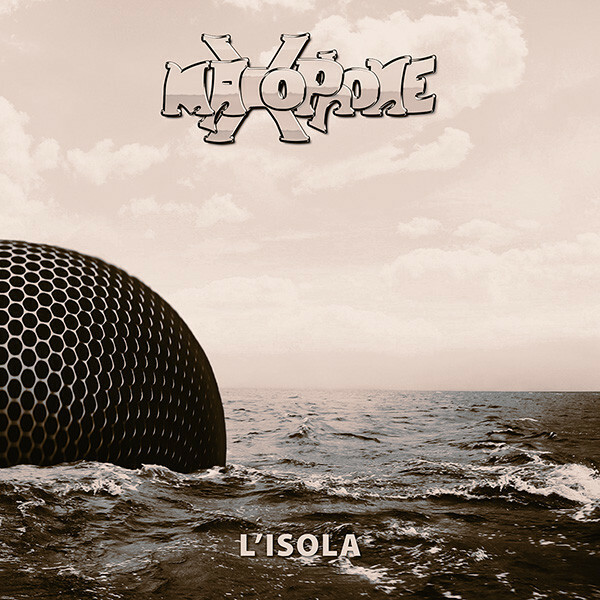 The 10-inch single L'isola was issued in limited pressing for Record Store Day 2017 and contains on the A-side an unreleased track composed in 1972 by three of the musicians who would later form Maxophone (Giuliani, Ravasini and Lorenzetti).